Available for JK and TJ models. Bracket comes with Satin Black powdercoat to match the light. 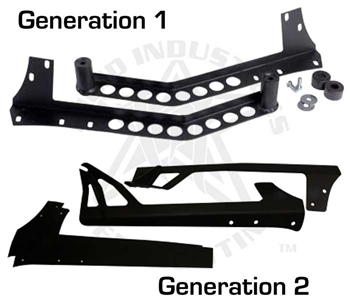 Kit includes JK or TJ mounts which mount to existing bolt holes in the A-Pillars. Mount a 50" E-Series or 50" SR Series.